Nearly forty years ago, a bunch of art-school misfits were adopted by the New York City Punk scene. 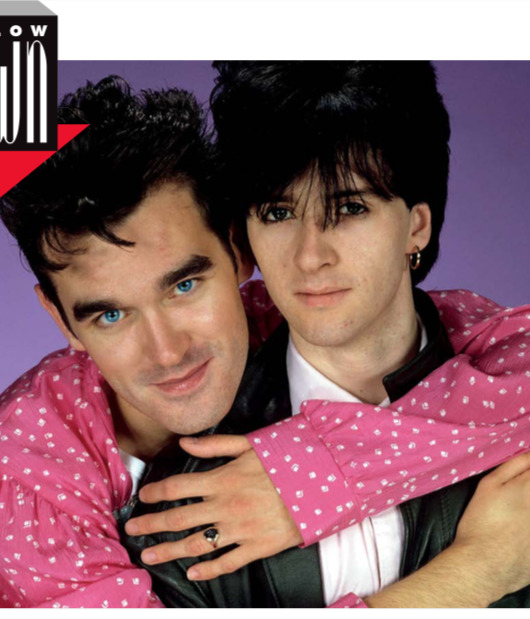 They went on to become the new faces of new wave, their unique blend of music and art resulting in their own brand of pop. As first gigs go, there really is no better way to launch a band than by sharing the bill with the Ramones at seminal New York City nightspot CBGB – aka the birthplace of punk. Yet that’s exactly how Talking Heads made their live debut in 1975, just months after graduating from Rhode Island School Of Design and heading to the Big Apple to pursue their dream of forming a band that combined the sounds they were hearing from the city’s burgeoning punk-rock scene and their keen passion for performance and conceptual art. Having already been in a short-lived band called The Artistics while at art school, David Byrne, Chris Frantz and Tina Weymouth lived together in a communal loft and played gigs around New York, where they quickly built up a strong following due to their signature nerdy punk-funk being a stark contrast to everything else around at the time. The addition of Jerry Harrison completed the line-up and the band landed a deal with Sire Records in 1977.They went on to become one of the Seventies’ and Eighties’ most original bands, incorporating a range of infl uences into their music – namely, world music, funk, Americana and country. 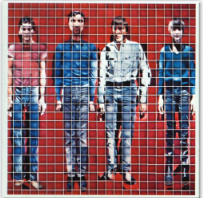 As well as being an aurally arresting entity, Talking Heads emphasised their showmanship and – utilising skills they’d honed at art school – became one of the first multimedia groups with their avant-garde videos, artwork and mesmerising concerts. Though Talking Heads’ true success couldn’t be measured by chart placings and record sales, they nonetheless managed to achieve commercial success as well as critical. Between 1977 and 1988, they released eight studio albums as a group, as well as a number of solo ventures and side projects, including Tom Tom Club. Following persistent rumours of fractious relationships within the band, an offi cial split was announced in 1991, three years after the release of Talking Heads’ fi nal album, Naked, in 1988. While the band reunited to perform at their induction into the Rock And Roll Hall Of Fame in 2002, they quickly dispelled any rumours of a full-blown comeback, stating that performing at the ceremony “gave our group a happy ending”. 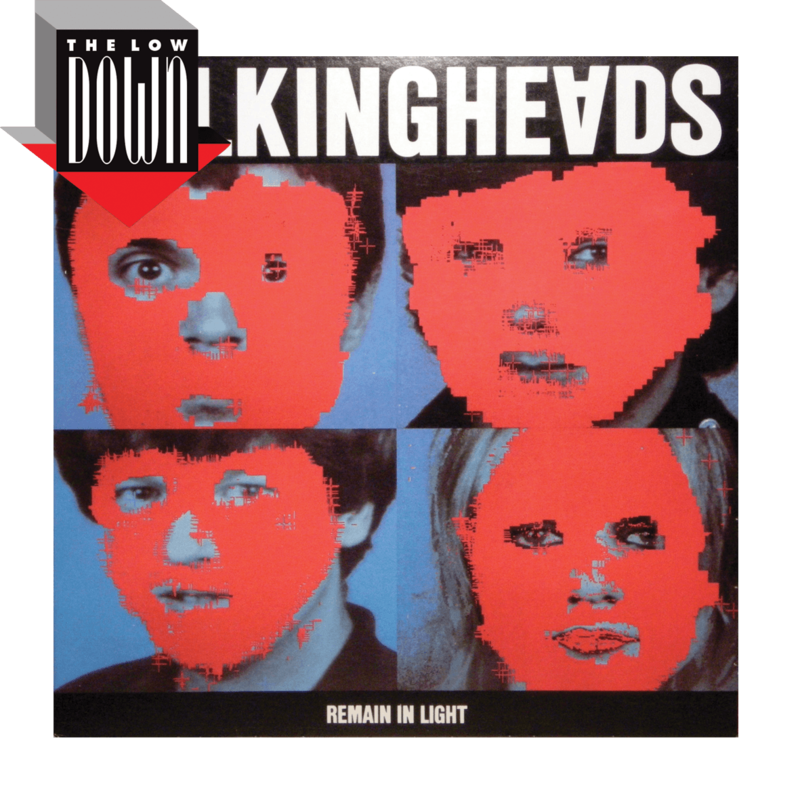 Entitled as a subtle reference to the general consensus that sophomore albums consist of leftover tracks from the debut release, this was Talking Heads’ second LP and marked the beginning of their long-term collaboration with Brian Eno. Already renowned for moulding art- rockers such as David Bowie and Roxy Music into chart-friendly superstars, Eno was the perfect choice to co-produce the album, toning down the quirks and overt eccentricities that had at times marred their debut, and shifting focus from David Byrne’s vocals to Tina Weymouth’s bass and Chris Frantz’s drums, resulting in a more danceable sound than that of Talking Heads 77. 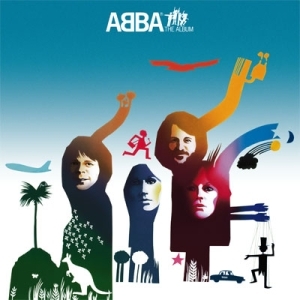 Though the album failed to produce a UK hit (a cover of Al Green’s Take Me To The River enjoyed moderate success in the States), it reached number 21 in 1979 and is regarded by Heads fans as one of the band’s fi nest works due to the inclusion of favourites such as The Big Country, Artists Only, I’m Not In Love, Found A Joband The Girls Want To Be With The Girls. While More Songs About Buildings And Foodhad been recorded in the Bahamas, Fear Of Music began life in Tina Weymouth and Chris Frantz’s New York loft. This shift was reflected in the music – much darker, both sonically and thematically, it was in stark contrast to the previously omnipresent humour. David Byrne’s lyrics on the album were as abstract as ever, covering subjects such as urban guerrillas, the boredom of eternal life in paradise and the sneakiness of animals. 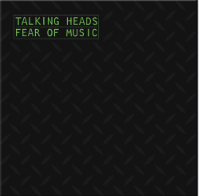 With Brian Eno on board again, Fear Of Music was very much a transitional album in Talking Heads’ canon, with the fusion of guitars and electronics culminating in an eclectic collection of songs, which proved to be a creative high point. From the opening I Zimbra (the birth of “ethnofunk”), which incorporated world music into the band’s spiky, tension-laden punk-pop, to the sublime simplicity of tracks such as Drugs and Air, the beautiful melody of Heaven and the album’s fi rst single, Life During Wartime – what Fear Of Musiclacks in cohesion, it more than makes up for with its abundance of standout moments. Having been plagued by bouts of writer’s block following a prolifi c three albums in as many years, David Byrne once again retreated to the Bahamas to work on Talking Heads’ fourth album. Here, he welcomed not only input from the other members of the band but additional musicians, too, including Fela Kuti (whose music turned out to be a huge infl uence on the record). 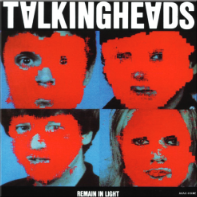 The culmination of the advances made on their previous albums, Remain In Lightwas Talking Heads’ most accomplished work and completed their musical evolution, giving them a much richer and more substantial sound than ever before, particularly on key tracks such as The Great Curve and Crosseyed And Painless. The third and fi nal album with Brian Eno, Remain In Light saw the band experiment with funk and hip-hop as well as the African polyrhythms that dominated the album, and became their most successful LP to date – it saw them embark on a UK tour supported by pop-superstars-in-waiting U2, Dire Straits and OMD, and produced their fi rst UK Top 20 single in Once In A Lifetime. Could this be the best live album ever released? 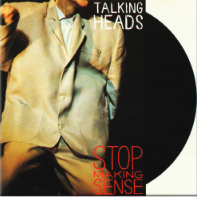 Although it was a live album, and predominantly consisted of previously released material, 1984’s Stop Making Sense– the soundtrack to their concert fi lm of the same name – captured the essence of Talking Heads better than any of their studio albums and remains a sonic snapshot of a band at the zenith of their creativity. Recorded over three nights in Los Angeles on the Speaking In Tongues tour, half of Stop Making Sense consisted of tracks from that album. Additionally, the live versions of songs such as Take Me To The River, Life During Wartime, The Catherine Wheel’s What A Day That Was and a euphoric Once In A Lifetime are widely recognised as superior takes on those tracks. The same can be said of Heaven and This Must Be The Place(Naive Melody), although these were relegated to the B-sides of the album’s singles until they were restored to the Deluxe Edition of the LP in 1999.Not just the highlight of Talking Heads’ catalogue, in the realm of live albums Stop Making Sense is one of the greatest ever recorded. As one of the first promos to be on heavy rotation on MTV, Once In A Lifetime – with the enduring image of a sweating, erratic David Byrne dancing manically and looking like a demented door-to-door salesman in nerdy glasses, suit and bow tie – became one of the first icons of the video age. Relying solely on Byrne’s magnetism, the film features him emulating the African tribesmen relayed behind him on a video screen, before he dissolves into a series of seizure-like movements. The choreographer and co-director, Toni Basil (she of Mickeyfame), revealed that the band watched videos of people having fits to enable the singer to perfect the movements. Widely accepted as a piece of performance art, the Once In A Lifetimevideo is now exhibited at New York’s Museum Of Modern Art. As former art students, Talking Heads embraced all aspects of visual arts to complement their musical output – a lot of effort and thought went into their artwork, stage show and videos. In 1985, the video for Road To Nowhere broke new ground, referencing conceptual art and using up-to-the-minute technology to create some stunning special effects. Directed by David Byrne and Stephen R Johnson (who would go on to direct two of the most celebrated videos of the Eighties – Peter Gabriel’s Sledgehammer and Big Time), Road To Nowhere featured a number of revolving objects and scenarios – all essentially leading nowhere – interspersed with footage of Byrne running on the spot. The innovative clip received a nomination for Video Of The Year at 1986’s MTV Video Music Awards. Wild Wild Life was the first single to be released from 1987’s True Stories album, a record that consisted of songs featured in David Byrne’s film of the same name. Set in a karaoke bar, the video took the offbeat humour of the band’s previous promos and took it to a whole other entity – it’s pure comedy. As well as the group themselves, the video features a cast of eccentric characters. Actor John Goodman from the True Stories film makes a cameo appearance, as do impersonators of Prince, Jon Bon Jovi, Meatloaf, Ron Jeremy and Billy Idol, among others. 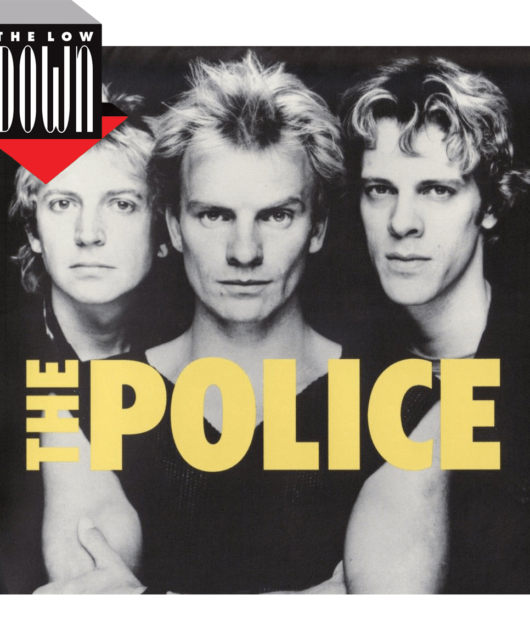 The clip won Best Group Video and Best Video From A Film at the 1987 MTV Video Music Awards. Despite being one of the group’s best-known songs and videos, it had never been performed live until June of this year, on David Byrne’s world tour. Filmed over three nights at Hollywood’s Pantages Theatre in December 1983, Stop Making Sense (which was named after a lyric in Girlfriend Is Better from Speaking In Tongues) has become the benchmark by which live music is now measured. Relying on their art-school backgrounds, the band pioneered the notion of creating a multimedia spectacular instead of a straightforward rock concert, fusing music, performance art, theatre and dance – every aspect of which was captured meticulously by director Jonathan Demme. 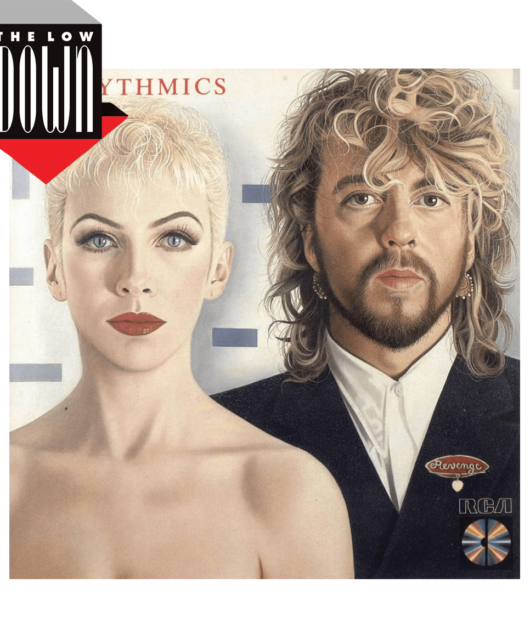 As well as being a visual feast, the shows were the first to be recorded exclusively using digital techniques, capturing how well the music translated into the live arena and spawning a successful soundtrack album – a timeless celebration of one of music’s most original bands doing what they did best.